Not really a lunch sketch today as this is actually work and I'm too busy to take a real break. It's deadline weeks and all hell is breaking lose. 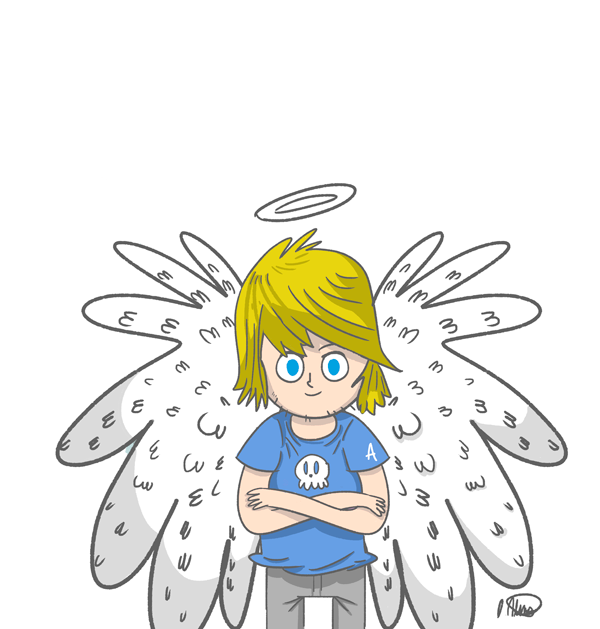 This doodle of 'The Angel with a Dirty Face' will be on the Kids Page this month.